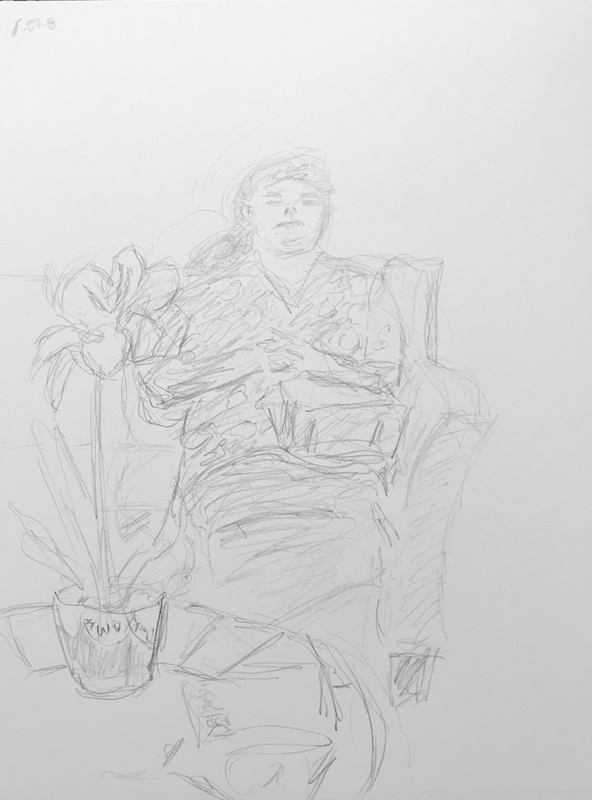 This entry was posted in Personal Stories and tagged artistic process, creativity, drawing, pencil sketch, portrait, resting, sketch, sleep, visual art, Waiting Room. Bookmark the permalink. This reminds of one time my husband told me he was early for the doctor appointment so he took a nap in the chair in the waiting room. I was and still am incredulous at how a person can sleep in a waiting room. I guess you’re one way or another! Love this drawing. Thank you, Claudia! I find I can zone out just about anywhere. Give me a cozy corner and I’m gone. Thank you Kerfe! I’m glad.